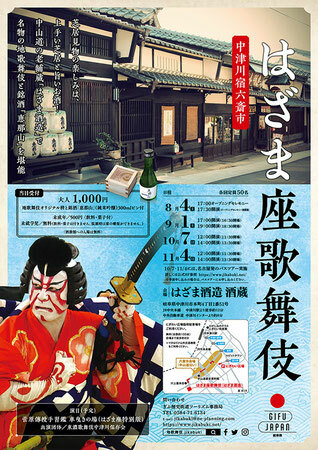 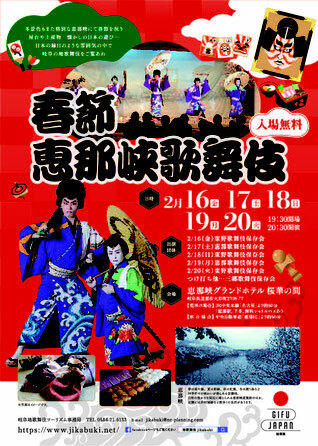 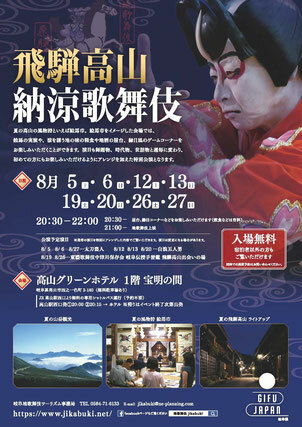 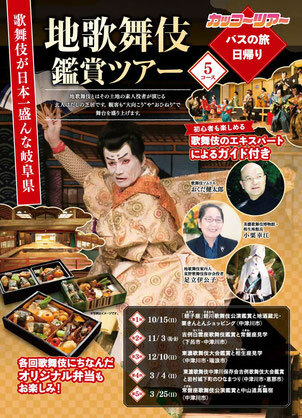 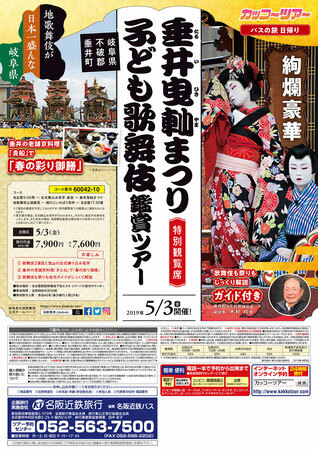 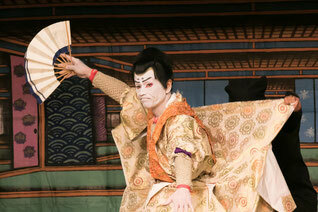 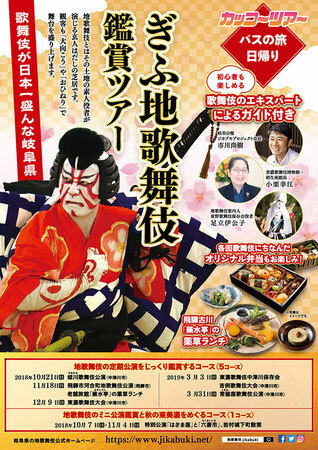 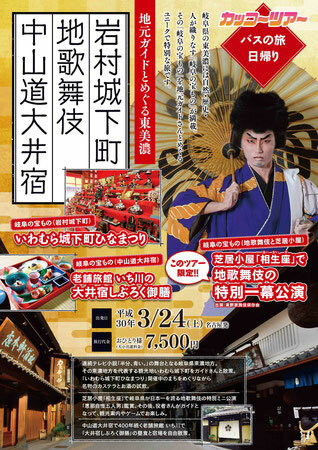 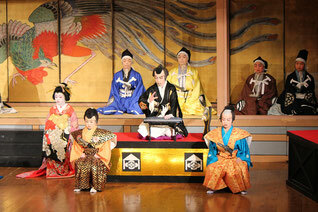 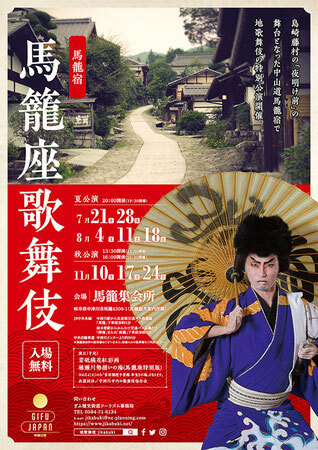 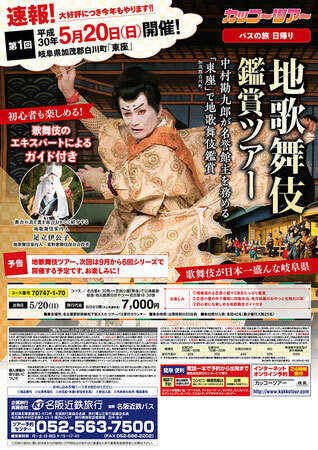 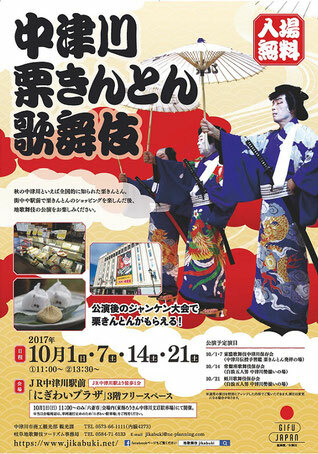 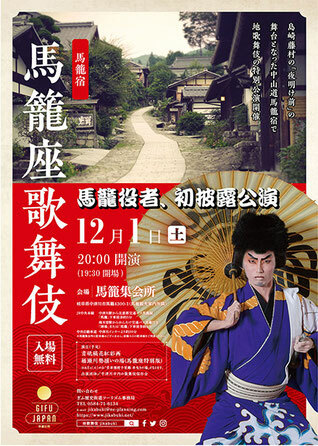 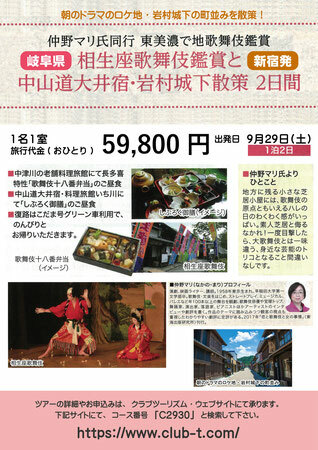 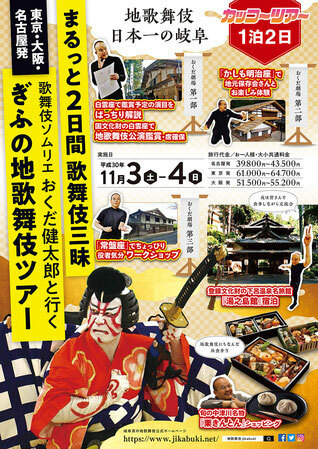 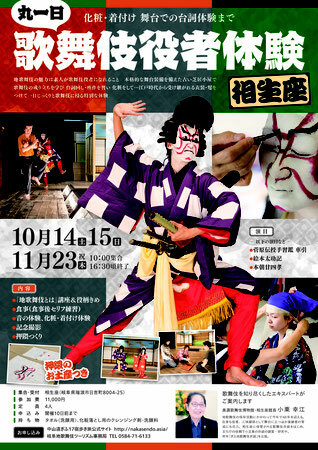 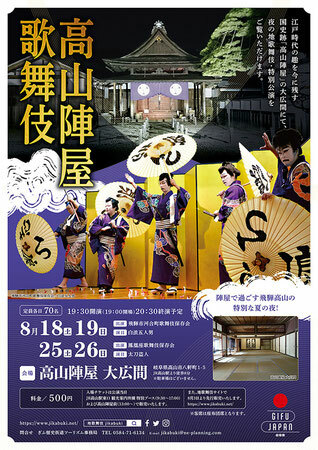 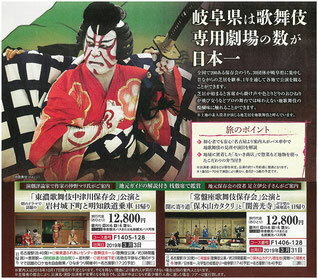 Special performances of Jikabuki can be watched at famous sightseeing spots in Gifu Prefecture, including Hida-Takayama, Gero-Onsen, Nakasendo-Magome. 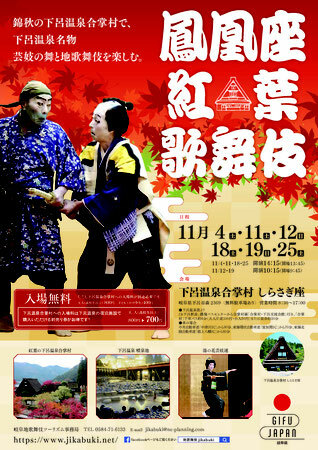 Please enjoy these special events at local attractions. 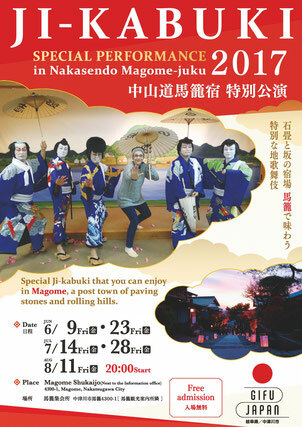 2017/6/9 Fri. , 23 Fri. ,7/14 Fri. ,28 Fri. ,8/11 Fri.